Big Mama's has been cooking, serving and selling Southern "down home" food for over 75 years. Big Mama whose real name is Emma sue Miller McWhorter was Born in Burda, Georgia (just outside of Griffin, south of Atlanta), Big Mama and her husband James "Candy Jim" McWhorter then migrated north to Chattanooga, TN ,where she owned and operated restaurants. She along with her two youngest children Sam and Pat then joined her son Dargin who had moved to Pasadena, CA. in 1956 in persuit of a professional boxing career. In 1970, under BIG MAMA'S giudance, Dargin and his wife Anita opened "Emma Sue's Fish and BBQ"on Fairoaks in Altadena, CA, then opened in the early 80's in Old Town Pasadena, CA on Colorado blvd. between Fairoaks and Raymond. Dargin McWhorter, with Big Mama coaching from the sidelines, and the help and support of his wife Anita and children Dewayne, Dargin Jr., Dargetta, d'Artagnan, Darron, Demetrius and Deeana opened the doors of Big Mama's Cooking, Inc. on March 7th, 1992 in Las Vegas, NV on THE FABULOUS "LAS VEGAS STRIP" between Tropicana and Flamingo, later moving to Bonanza Rd. 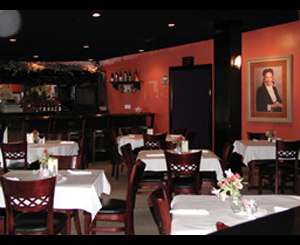 On September 20, 2002 Dargin's children (Darron, Dargetta, Mel & Leslie) opened the Pasadena restaurant in a fine location on North Lake Ave. that used to house another famous restaurant named Gianones steak house. "connoisseurs are in 'hog heaven' over the huge portions of Down-home 'sauce dripping', 'finger-lickin' goo-o-od' BBQ and Southern Cooking at this Pasadena spot where the service is 'fast' and friendly." 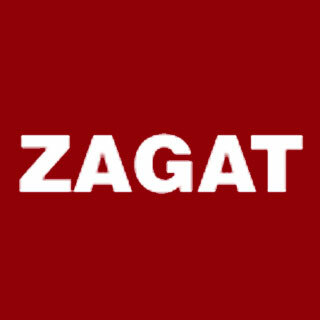 Zagat has also recognized Big Mama's with a certificate of excellence for five out the seven years Big Mama's has been opened at the present location. Big Mama's continues to be a family owned and operated restaurant that attracts both locals and celebrities because of its unique dining experience and sumptuous food. All entrees and desserts are prepared fresh daily to order. It is true "down home" Southern food crafted with careful attention to the tradition and love handed down from Big Mama's original recipes. Big Mama's is a five time winner of Las Vegas Review-Journal's "Best of Las Vegas" award as well as a three time winner in the Las Vegas Sunset Park Rib Burnoff. We have also been featured in the Los Angeles Times as "A Louisiana Dream" and voted Pasadena Weekly's "2003 Best Southern Restaurant".